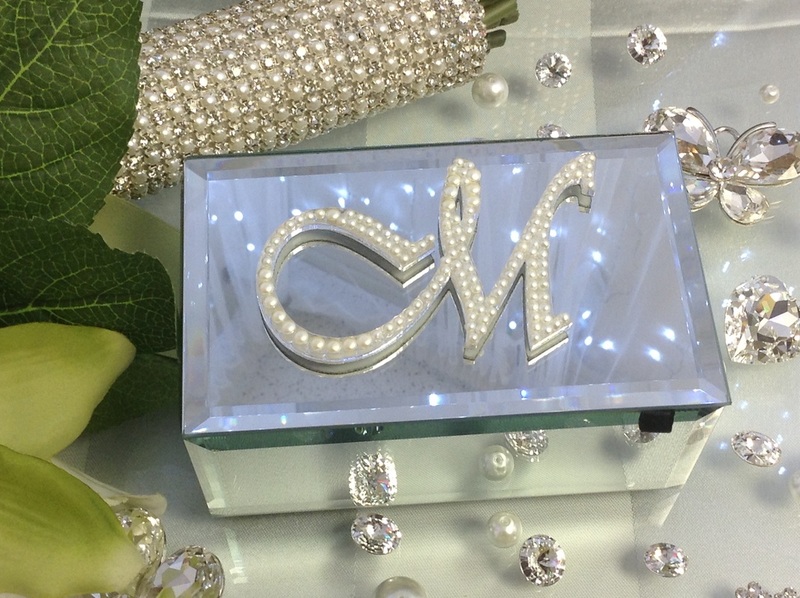 This beautiful family keepsake come with a Monogram Letter with Clear Swarovski Crystals and your Last Name etched in the mirror. The plate has a modern design and will go with any décor. This keepsake will truly be treasured and cherished for a lifetime. 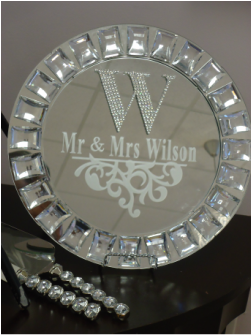 The mirror measures 13" round with a 3" fully decorated monogram letter with clear Swarovski crystals, etched Mr. & Mrs. (Last Name) that you provide us with and with a floral design. The font is Times. Stand included . This Monogram Jewelry Box features hand-cut beveled mirror construction and a black flocked interior that includes a mirror inside the lift-top lid, with a 2" fully decorated monogram letter. A handy black ribbon attached to the front of the lid makes for easy access to the interior. Overall dimensions are 2.25" x 3.25" x 5.25".